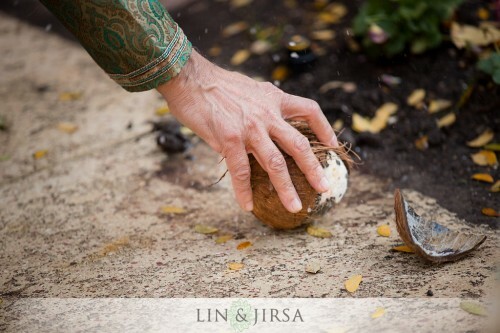 The coconut is one of the most common offerings you find at a Hindu temple (it is also referred to as the fruit of God), and is used to ‘break new ground’ as it is smashed into two halves. It is offered in all sacrificial fires for all homa rituals (fire rituals) and is later distributed as God’s blessed offerings, known in Hindi as prasadam/prasad. 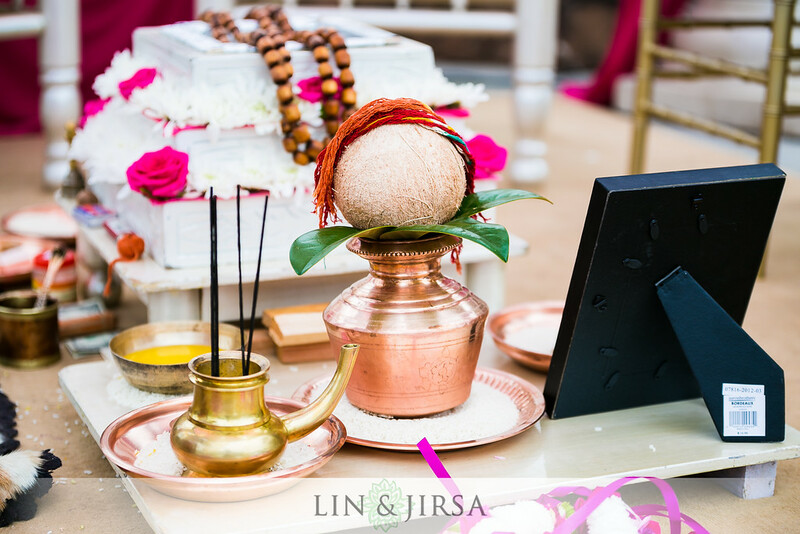 The ‘Kalasha’ is a sacrificial object placed in front of the Havan, the fire pit located at the center of the Mandap. 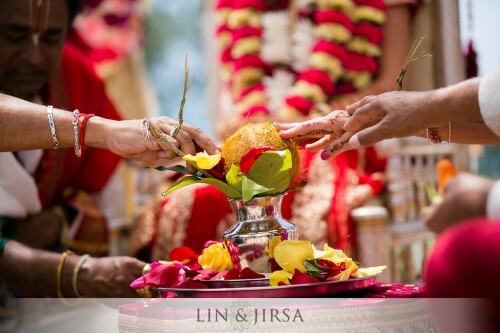 It is composed of a metal pot with a coconut placed atop. 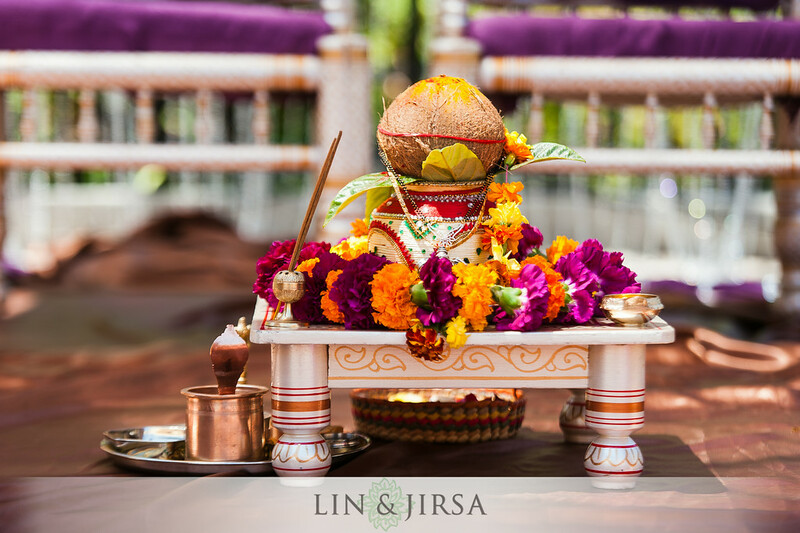 Adorned with turmeric and vermillion powders and a garland of mango leaves at its base, the coconut is blessed prior to the ceremony and is one of the offerings that the couple submits to the Gods. The pot may be filled with coins, grains, gems, water, or even gold. 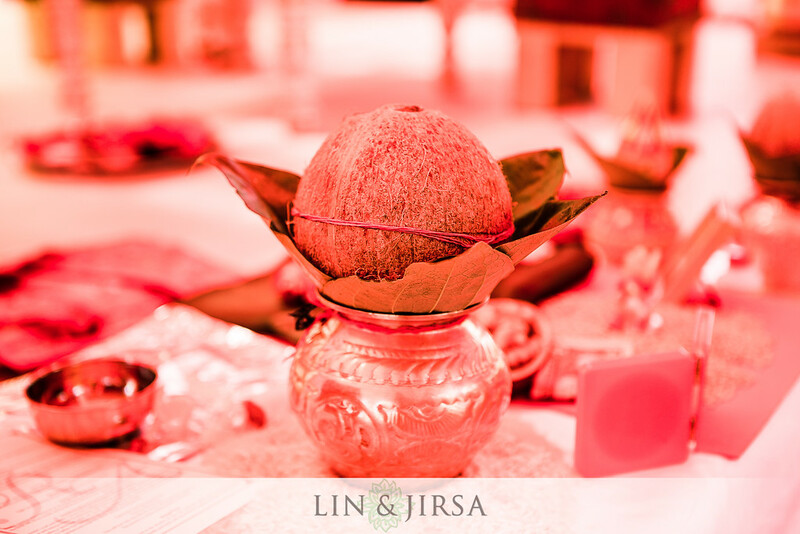 An auspicious red thread is tied around the coconut to symbolize the presence of the cosmos. In Hinduism, the Kalasha is considered to be a symbol of abundance and the ‘source of life’. As noted above, the coconut contains auspicious properties that make up the ‘elixir of life’ – attributing wisdom and immortality with the Kalasha. Many times you will find a silver or brass face tied around the Kalasha signifying the presence of a specific God or Goddess. 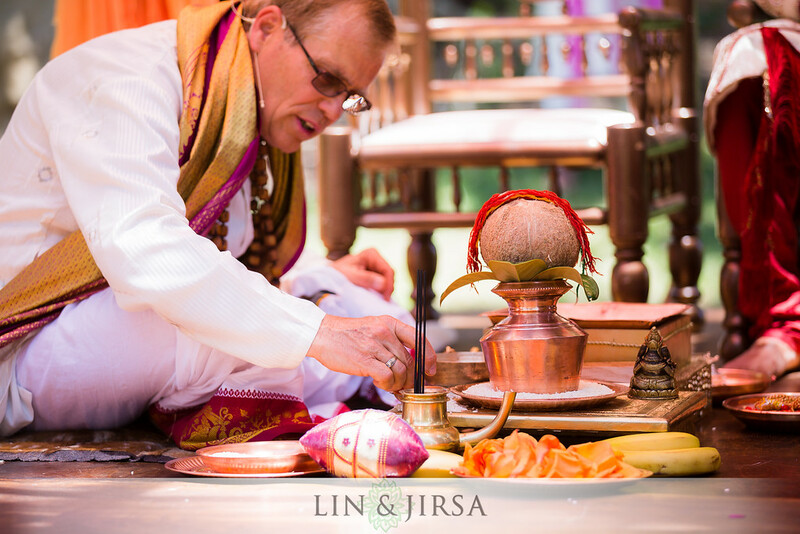 Contextually, each portion of the Kalasha represents material things: the pot references a container of fertility, the leaves are associated with the God of Love, Kama, and symbolize the pleasure of fertility, and the coconut embodies prosperity and power. In Jainism, a religion practiced in the Indian state of Gujurat, the Kalasha is festooned in a different manner. Two eyes are portrayed around the Kalasha, implying right faith and right knowledge. The Kalasha is also used for various other religious ceremonies such as the welcoming of a new home or the purchase of a new car.